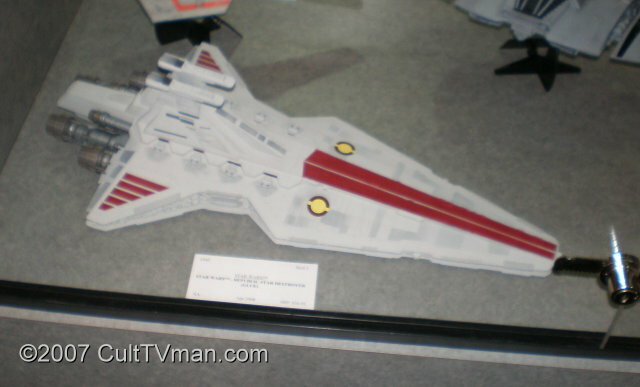 Here are a few announcements and a bit of information from iHobbyExpo today! 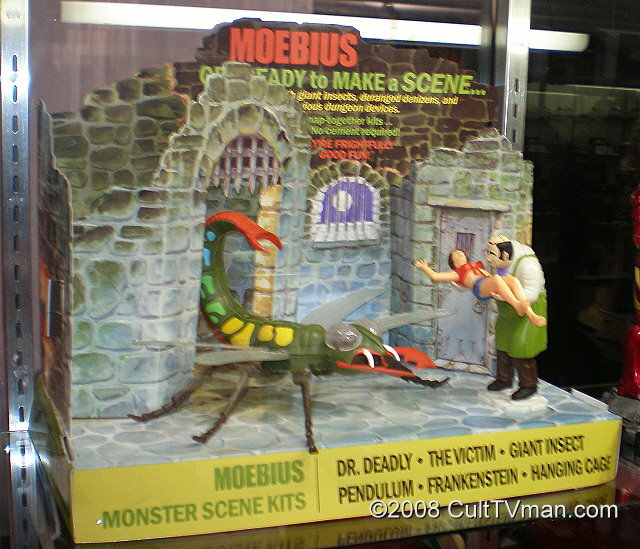 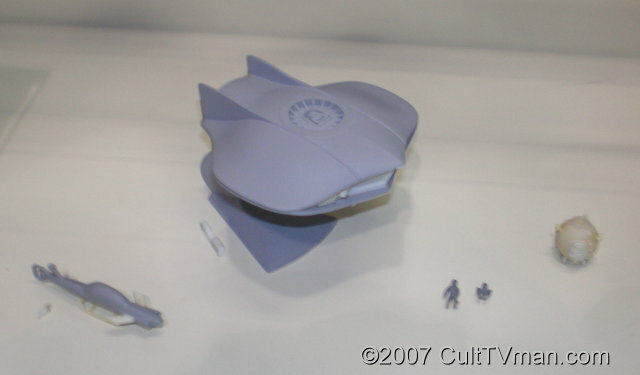 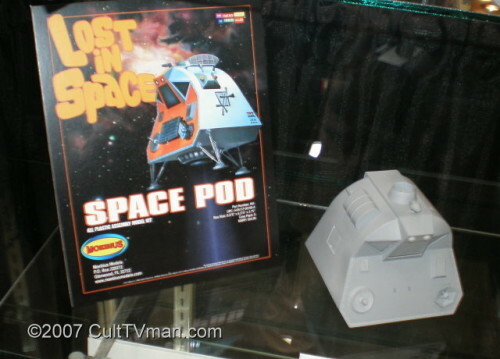 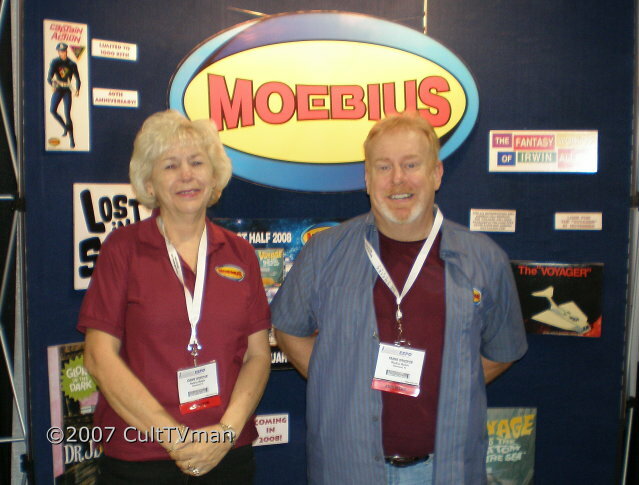 Next up, look for two new Lost in Space kits from Moebius: The Space Pod and The Chariot. 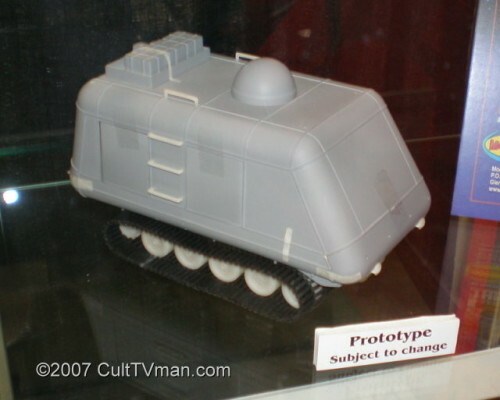 The Chariot will come with a figure of the Robot! 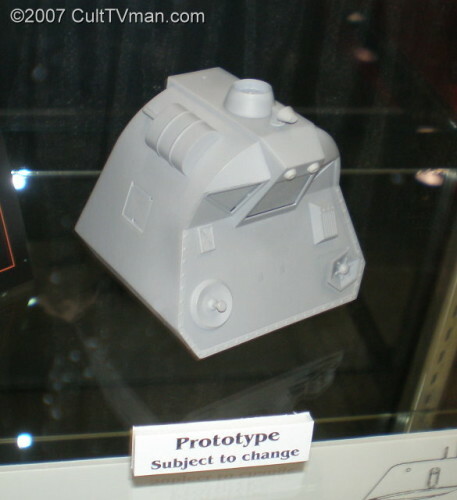 Here’s a picture of the Seaview parts on display. 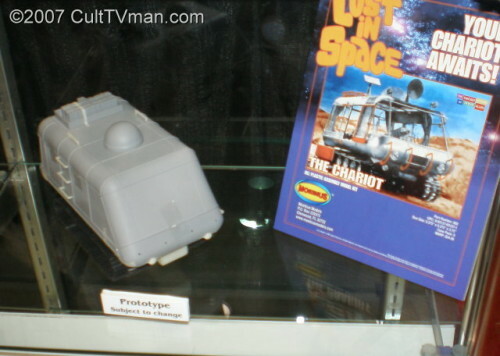 The actual sub was not on display at the show. 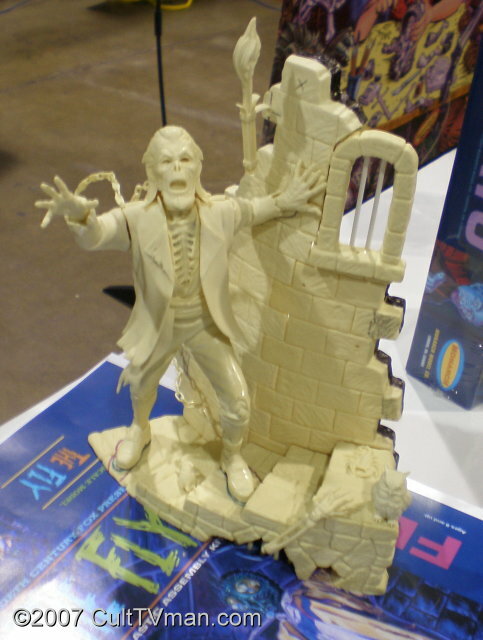 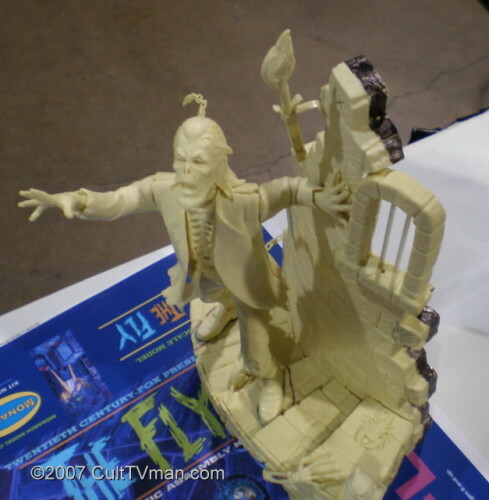 From the folks at Monarch Models, here is a photo of the resin parttern for the Ghost of Castle Mare, which should be available in early 2008. 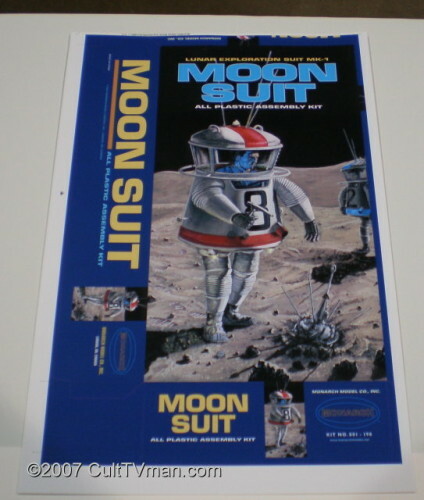 And here is artwork for the upcoming Moon Suit kit. 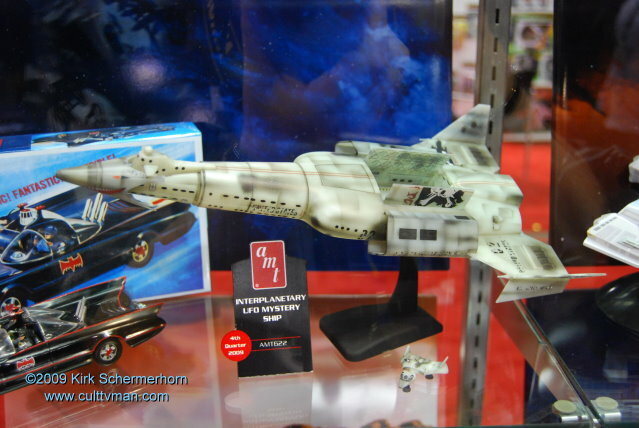 Monarch also announced a new kit of The Fly! 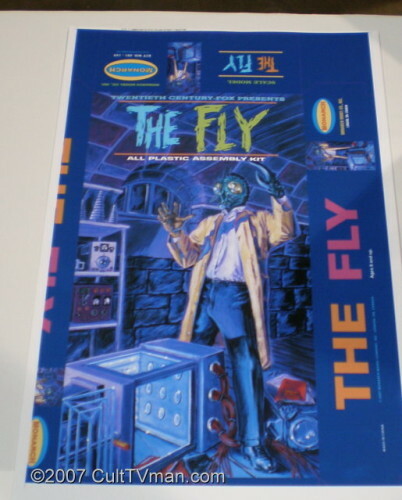 Here is a look at that box art. In other news, Revell now has a license to issue the Revell Germany Star Wars kits in the US. 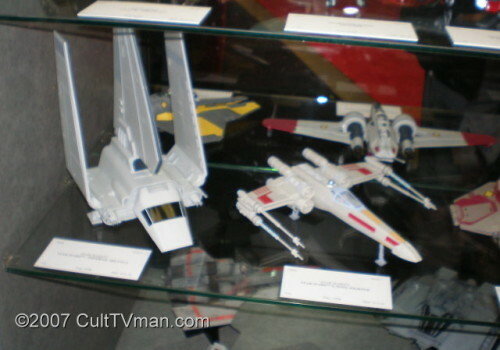 Look for these in mid year. 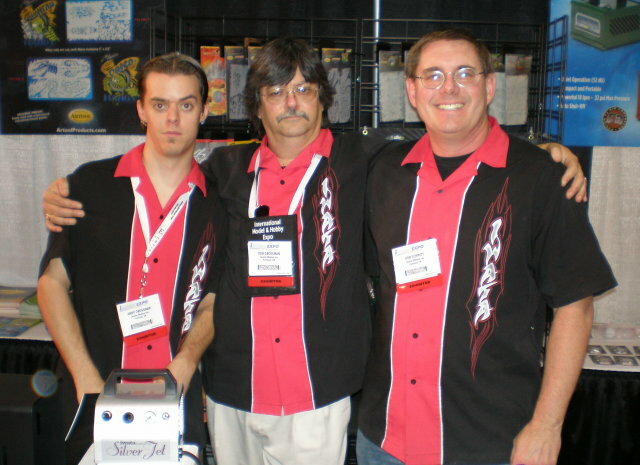 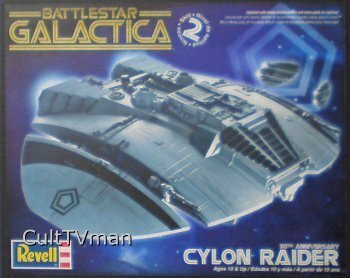 And here is a shot of the new, reworked Galactica kits. 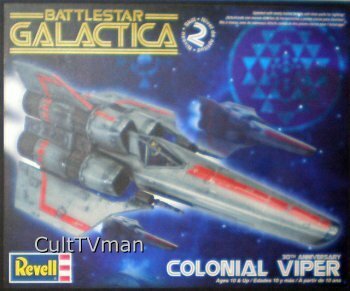 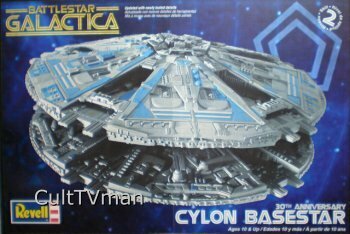 Still no word that they will do the actual Galactica itself. 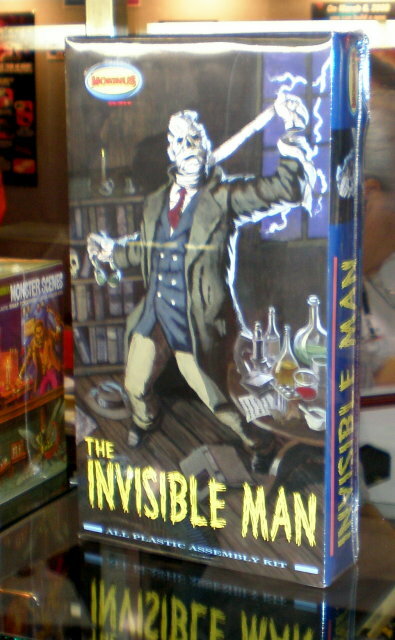 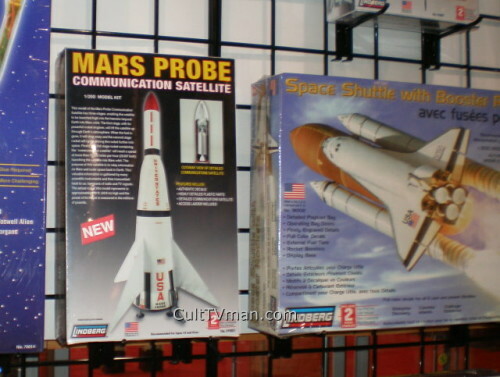 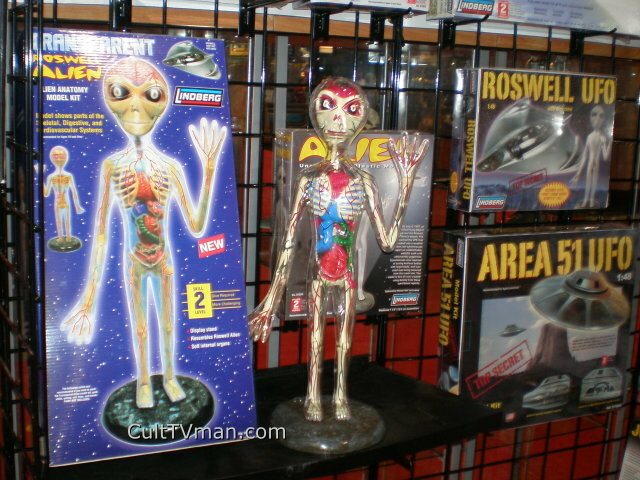 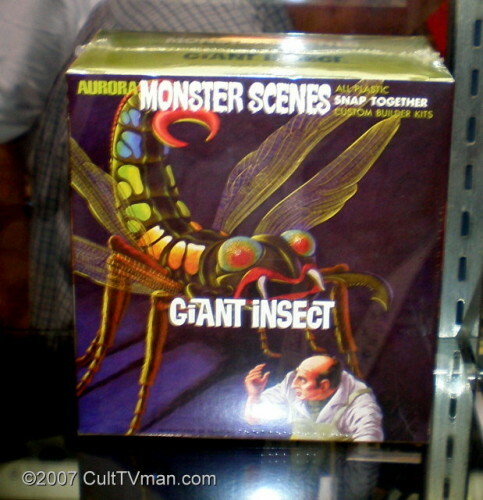 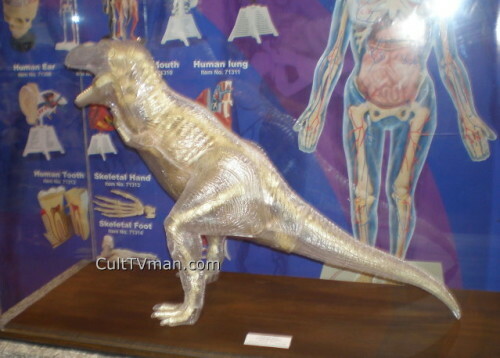 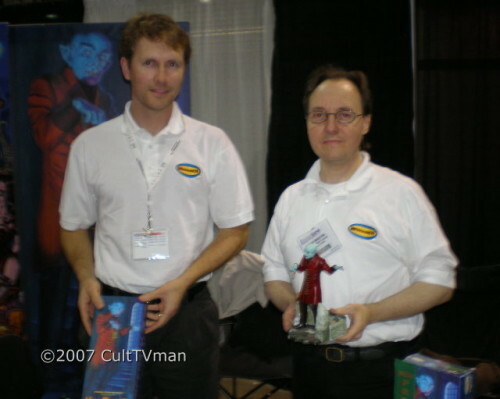 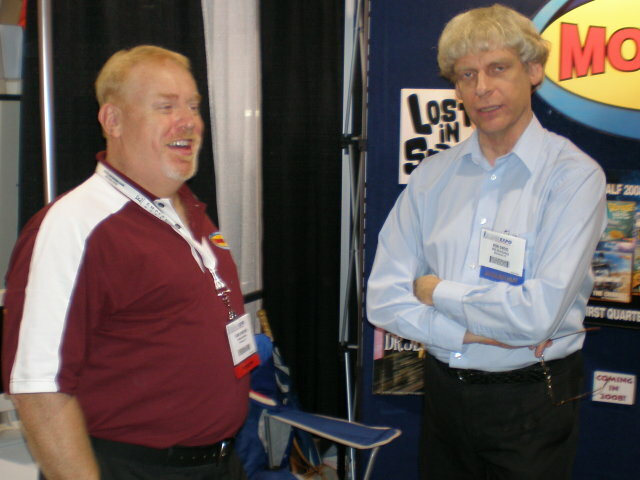 Lindberg had the Visible Alien and Visible T Rex on display, as well as box art for the Area 51 UFO and Roswell UFO kits, which are reissues of old Testors kits.